Complete list of Leather Products Shops in Pakistan. You can find the updated list of Leather Products Shops in Karachi, Lahore, Islamabad, Rawalpindi, Multan, Peshawar, Quetta, Faisalabad and other regions of Pakistan with their address, maps, locations, vendors and consumer reviews. You can also compare the Leather Products Shops here and find the best Leather Products Shops here. You can also find the jobs related to Leather Products Shops here. 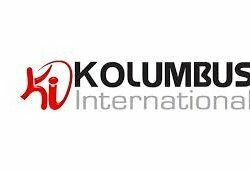 KOLUMBUS INTERNATIONAL is located in Sialkot, Pakistan. Company is working in business activities regarding Sports, Leather Products. Ihsan Industries (Pvt) Ltd is located in Karachi, Pakistan. Company is working in Leather Products, Textile business activities.